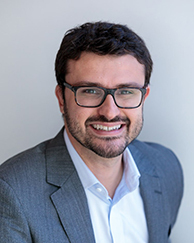 Rodrigo Adão’s primary field of interest is international trade, and the focus of his research is the effect of globalization on welfare and inequality. His research has been published in the American Economic Review. Additionally, he serves as Faculty Research Fellow at the National Bureau of Economic Research. Adão earned a PhD in economics from MIT, as well as a BA and MA in economics from Pontifical Catholic University of Rio de Janeiro (PUC-Rio). Prior to joining Booth, he was a research scholar at the Becker-Friedman Institute and an IES Research Fellow at Princeton University. Adão was also a featured speaker on the Review of Economic Studies Tour.